Family tragedy is often sanitized in mainstream movies. It’s rare to come across a film that wears its grimness on its sleeve, portraying its characters at their worst, grieving and unhinged and perennially roaming around with a dark cloud of existential dread hanging over their heads. 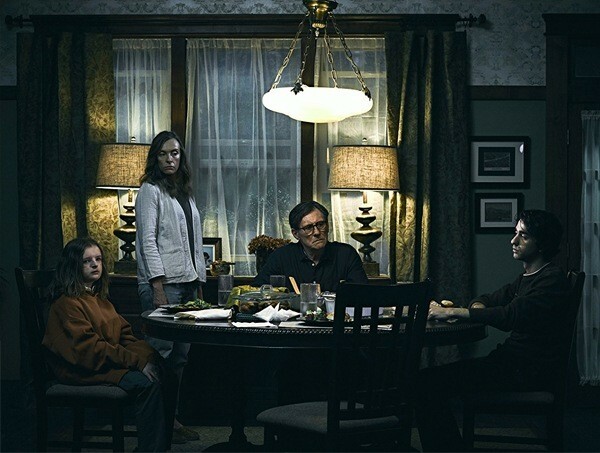 Maybe that’s why despite dealing with heavy, almost sadistic subject matter, director Ari Aster’s Hereditary feels like a breath of fresh air for the horror genre. It’s as if Aster has taken a photo of the prototypical movie family and framed it for possible mounting on a coffee table, only to violently come down on it with a hammer, smashing the glass into tiny shards sharp enough to cut and draw blood. It starts out with the already-complicated Annie (Toni Colette) losing her mother Ellen. As she delivers a eulogy for the fallen matriarch, it’s easy to get a sense that this is a mother-daughter relationship steeped in drama. It’s a testament to Colette’s acting that even before her character is unpacked, her eyes and tone of voice are already telling so much of the story. But the death has a colder reach, extending its touch to her 13-year-old daughter Charlie (Milly Shapiro, who makes a strong case for creepiest kid to ever appear in a movie), who has a thing for dead animals and shared a special relationship with her grandmother. Her older son Peter (Alex Wolff), on the other hand, is on a constant journey of escape, smoking pot whenever he can to detach from the thick air that permeates their seemingly cursed household. It doesn’t help that Annie’s husband Steve (Gabriel Byrne) appears disassociated, only tuning into his wife’s emotions when comfortable and necessary. All the brewing tension, however, comes to a head when a gruesome accident forces the family members to confront metaphorical (and maybe even literal) demons of both past and present. It’s best to come into the movie devoid of the online hype created by the film’s marketing machine. Those expecting a noisier type of horror, filled with cheap shots and jump-scares and CGI, will not find it in the shadowy hallways of this soon-to-be haunted house classic. 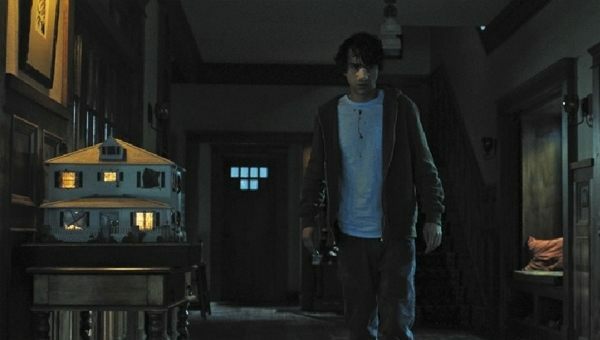 Even though there’s a fair amount of mutilation that borders on overt, Hereditary is anchored in a more formal approach to terror. It’s creepy and crass, but never feels exploitative in its use of shock for delivering fright. The storytelling is only biased towards what the protagonists (or in this case, victims) are experiencing, never letting the viewer in on the secret until it’s too late. Here, you don’t unfold the plot—the plot unfolds you. As far as casting goes, Colette is in her element, once again trying to be a functioning mother while dealing with supernatural forces (remember her stint in M. Night Shyamalan’s Sixth Sense?). The way she conveys anguish is so scarring that you’ll probably leave the theater with her screams still ringing in your ears. She’s an actress who has chosen her roles wisely over the last two decades, never fearing the difficult, more demanding roles that push her boundaries as an artist. And trust that in Hereditary, she’s pushed and pulled to varying extremes, the fabric of her being ripped in half like a dirty rag doll. And Shapiro, whose otherworldly looks and introverted demeanor cast a suffocating blanket over her character, is unnerving to witness on screen. It’s troubling (in a great way) to see such a young talent be so effective in such a discomforting movie. 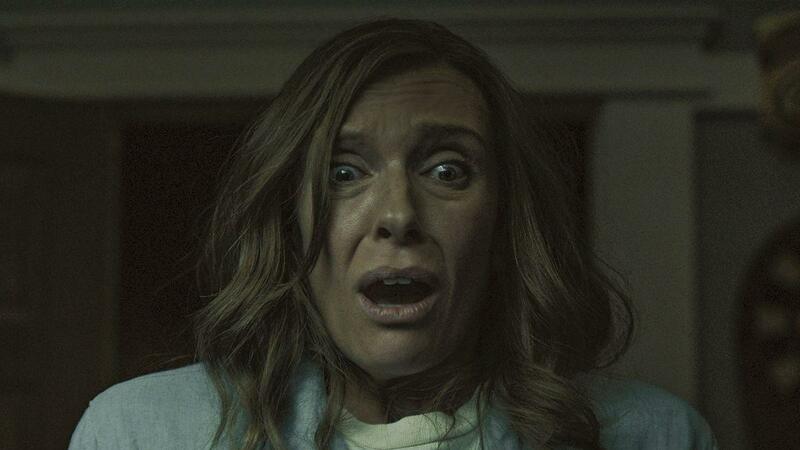 Although there are a few missteps in the script that derail the movie’s overall mood, Hereditary can be best described as emotional whiplash—an assault on the psyche that doesn’t let up until the end credits roll. It exists as a necessary meditation on grief and familial woes, of how the past and dark secrets can threaten even the places where we’re supposed to feel most safe. It’s a brutal reminder that all families are fucked up in one way or another.